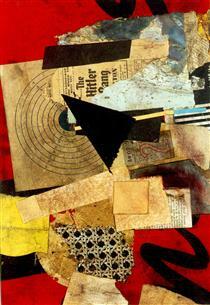 Kurt Schwitters was a German painter associated with the Dada movement, who worked in several genres and media, including poetry, sound, painting, sculpture, graphic design, typography and what came to be known as installation art. 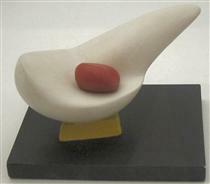 He is most famous for his collages, called Merz Pictures. 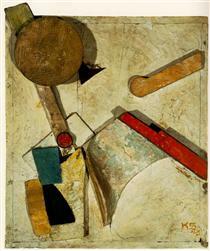 Kurt Hermann Eduard Karl Julius Schwitters (20 June 1887 – 8 January 1948) was a German artist who was born in Hanover, Germany. 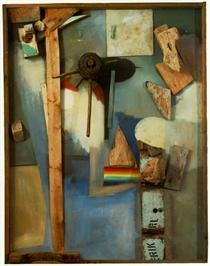 Schwitters worked in several genres and media, including Dadaism, Constructivism, Surrealism, poetry, sound, painting, sculpture, graphic design, typography, and what came to be known as installation art. 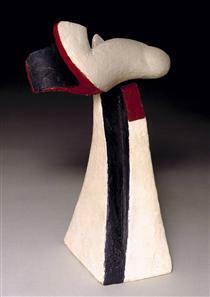 He is most famous for his collages, called Merz Pictures. 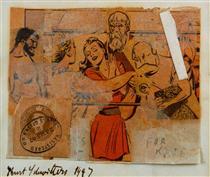 Kurt Schwitters was born on 20 June 1887 in Hanover, at Rumannstraße No.2, now: No. 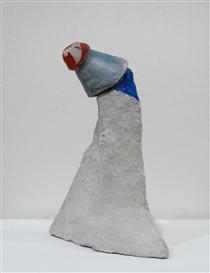 8, the only child of Eduard Schwitters and his wife Henriette (née Beckemeyer). His father was (co-)proprietor of a ladies' clothes shop. 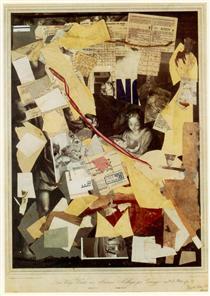 The business was sold in 1898, and the family used the money to buy some properties in Hanover, which they rented out, allowing the family to live off the income for the rest of Schwitters' life in Germany. In 1893, the family moved to Waldstraße (later Waldhausenstraße) 5, future site of the Merzbau. 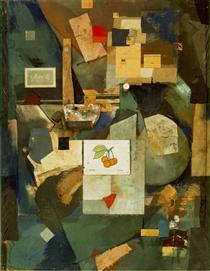 In 1901, Schwitters suffered his first epileptic seizure, a condition that would exempt him from military service in World War I until late in the war, when conscription was loosened. 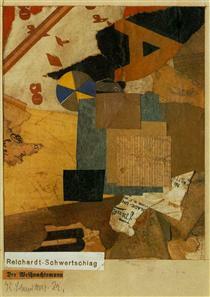 After studying art at the Dresden Academy alongside Otto Dix and George Grosz, (although Schwitters seems to have been unaware of their work, or indeed of contemporary Dresden artists Die Brücke), 1909–15, Schwitters returned to Hanover and started his artistic career as a post-impressionist. 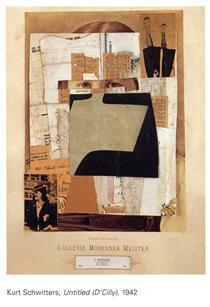 In 1911 he took part in his first exhibition, in Hanover. 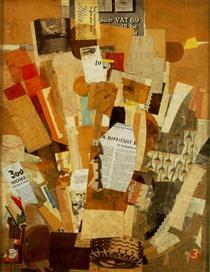 As the First World War progressed his work became darker, gradually developing a distinctive expressionist tone. 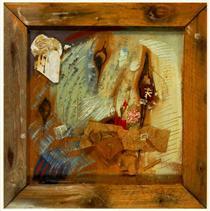 Schwitters spent the last one-and-half years of the war working as a drafter in a factory just outside Hanover. He was conscripted into the 73rd Hanoverian Regiment in March 1917, but exempted on medical grounds in June of the same year. By his own account, his time as a draftsman influenced his later work, and inspired him to depict machines as metaphors of human activity. 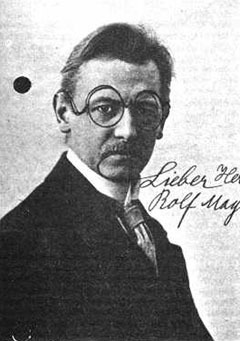 He married his cousin Helma Fischer on 5 October 1915. 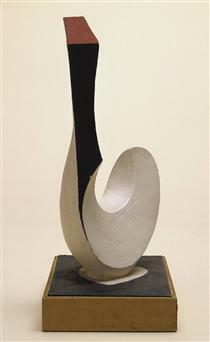 Their first son, Gerd, died within a week of birth, 9 September 1916; their second, Ernst, was born on 16 November 1918, and was to remain close to his father for the rest of his life, up to and including a shared exile in Britain together. In 1918, his art was to change dramatically as a direct consequence of Germany's economic, political, and military collapse at the end of the First World War. 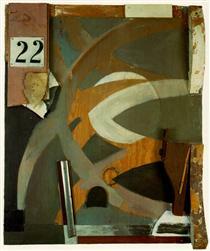 Schwitters was to come into contact with Herwarth Walden after exhibiting expressionist paintings at the Hanover Secession in February 1918. 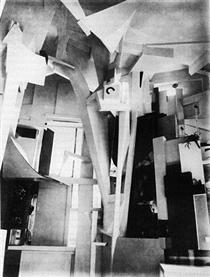 He showed two Abstraktionen (semi-abstract expressionist landscapes) at Walden's gallery Der Sturm, in Berlin, in June 1918,. 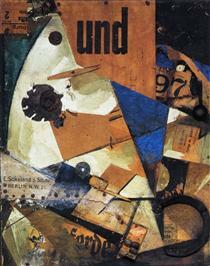 This resulted in meetings with members of the Berlin Avant-garde, including Raoul Hausmann, Hannah Höch, and Hans Arp in the autumn of 1918. 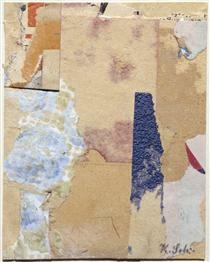 Whilst Schwitters still created work in an expressionist style into 1919 (and would continue to paint realist pictures up to his death in 1948), the first abstract collages, influenced in particular by recent works by Hans Arp, would appear in late 1918, which Schwitters dubbed Merz after a fragment of found text from the phrase Commerz Und Privatbank (commerce and private bank) in his work Das Merzbild, completed in the winter of 1918–19. 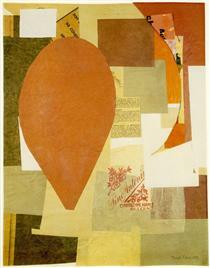 By the end of 1919 he had become a well-known artist, after his first one-man exhibition at Der Sturm gallery, in June 1919, and the publication, that August, of the poem An Anna Blume (translated as 'To Anna Flower', or 'To Eve Blossom'), a dadaist, non-sensical love poem. 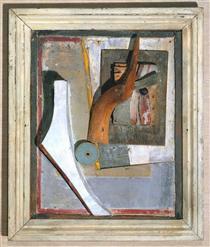 As Schwitters’s first overtures to Zurich and Berlin Dada made explicit mention of Merz pictures, there are no grounds for the widespread claim that he invented Merz because he was rejected by Berlin Dada.